IT LOOKS like a three-horse race in the Cuestars South Wilts Snooker League. 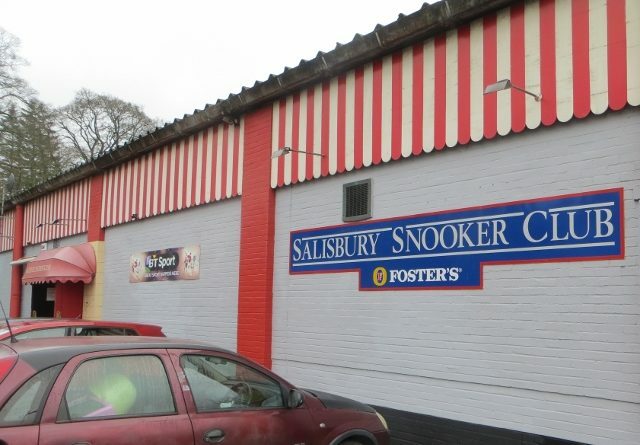 Only one point separates the trio who lead the chase for the £100 first prize at Salisbury Snooker Club. Front-runner Jake Stewart beat Paul Burt 4-1 but Anthony Rice drew level on points after whitewashing Eddie Mason 5-0. Liam Tinne is one point further back in third after overcoming Stuart Dreyer 4-1. Stewart and Tinne play this week. Tinne and Rice, who lost to Stewart in November, meet in March. According to his 14-year-old opponent, Rice compiled an “incredible” 57 break and followed that with a 61 to take the opening two frames. Rice said: “Eddie chose to play on the tightest table in the club so I was just pleased to score better than anticipated. “My scoring was quite good on a really tough table to play on. Meanwhile, Dreyer lost the first frame against Tinne on the final black and won the fourth with a run of 50. David Rice reckons Callum McDonald deserved his 3-2 victory, particularly for winning a re-spotted black after a “fantastic” colours clearance in the third frame. And Steve Ashton described his encounter with Antony Foxcroft as “Eddie Charlton versus Terry Griffiths, with a lot less talent”. Ashton prevailed 4-1 with breaks of 32 and 36. Results: Liam Tinne 4-1 Stuart Dreyer, Anthony Rice 5-0 Eddie Mason, Callum McDonald 3-2 David Rice, Jake Stewart 4-1 Paul Burt, Steve Ashton 4-1 Antony Foxcroft, Richard Arnold P-P Graham Wallace.